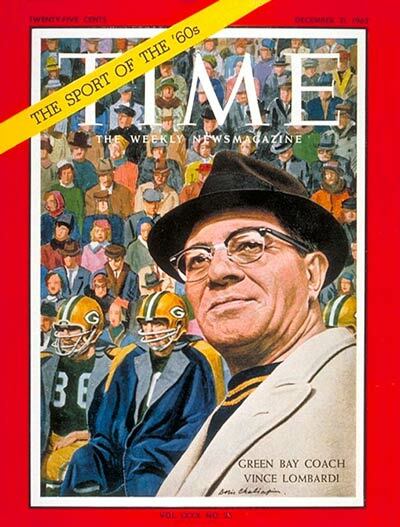 The Packer Ranter: No real analysis, but at least we're pretty. : The Kinter – Too Much Too Ask? Last season, I had the privilege of introducing a not-too-shabby sheila from Shiocton to the game of football. She came from a family of huge NASCAR fans and had always watched the NFL/Packers with little more than a casual interest. However, she was more than willing to listen to me explain the rules and nuances of the game over a few Leinies one MNF. Of course I started from the very beginning (a very good place to start). Soon, she was firing zingers left and right. They were the kind of zingers that can keep a man up at night, lost in thought, frustration and sometimes revelation. She asked me, “Why is it called football? I’ve always wondered that. I mean, if you think about it, they use their hands way more than their feet. It should really be called handball.” Wow. That was a really really good point. I honestly had never thought about that before. “It’s tradition,” I responded firmly, trying my best to sound like I knew what I was talking about. Later, as I was outlining special teams coverage, she pointed out that the punter was different from the field goal kicker. “So there’s two guys on the team and all they do is kick the ball? That’s kind of weird. Why can’t just one guy do both?” she asked. “No, no, no.” I scoffed. “They’re specialists. Trained for a specific job, you see. It’s complicated.” “Whatever, that’s dumb,” she replied. But as I laughed her “ridiculous” question, a shiny revelation came to light – she was absolutely right. Why can’t one guy handle all the kicking duties? Simply combine the kicker and punter positions into one: the Kinter. why hasn’t this been thought of before? It’s probably the most logical evolution since Red Bull/Vodka. Marvelous idea! I've actually thought the same thing before, but I am a disciple of Greg Easterbrook and he says that it is better to (almost) never punt and has some data to back it up. ....and we could keep another fullback on the squad. I like it. I think the real question is Kinter or Pucker? Yes. Yes, it is, D.
If a kinter was good, he good make a good living in the circus freak-show. "He squib kicks. He punts. He's an ABOMINATION!" I like the word "good". I'm pretty sure this is the type of brilliance they give out ESPY's for. Who do we need to contact to get you on the ballot? Dogs and Cats living together . . . . . you know where I'm headed. Like Hillside said, an abomination. What do you want to be, some sort of special teams maverick? You gotta be crazy fast for that. Look, all I'm sayin' is that you gotta tone it down a little. Think small, like maybe a 350lb lineman who can stand between a rusher and the QB. You keep flying of the handle like this and someone is gonna get hurt. Sounds to me like you're looking for a 21st Century version of Paul Hornung. Talk about multi-role-craziness! Also, I like the combination of "place kicker" and "punter"...or "plinkter". Yeah I had thought that before...then Jay Feely did it in the AFC championship game when the Jets punter went down. He did really well, and I think the Pucker/Kinter should be invented. I love Wide Variety in both models and brands! How about Alex Henrey from Nebraska? The soon to be senior does both, and very well. Even kicked a 57 yarder two years ago as a sophomore. Cereal?! Awesome. I hope the Packers draft him. Do they call him the Kinter or Pucker?